This is a super tough plant for dry shade. It has fuzzy light green leaves and white flowers in late summer/ early autumn. It is great for covering bases of trees or other spots that get little moisture. Strong grower that deserves a lot more use in our area. This gets about 15-18" tall and 18' wide. 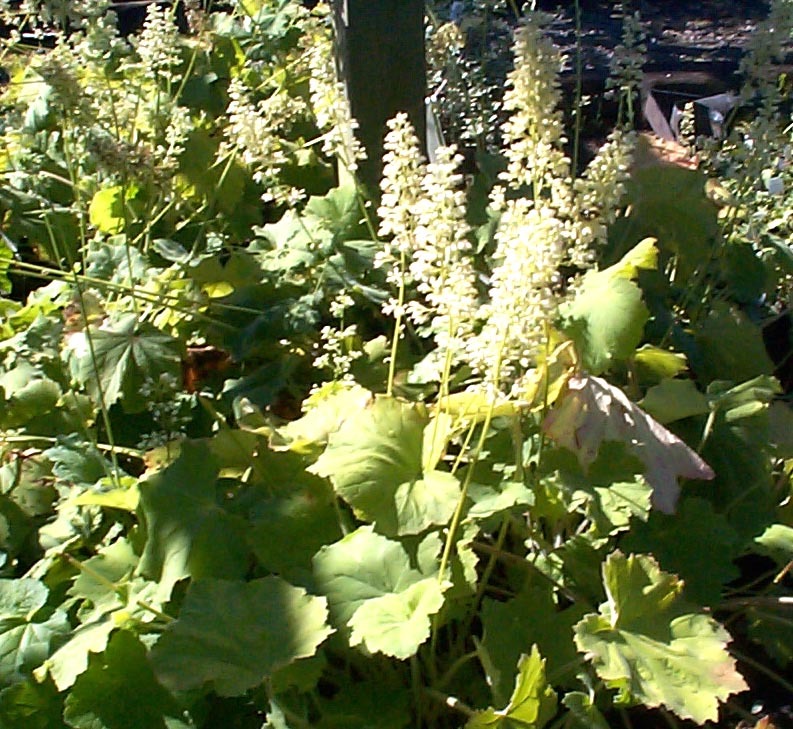 Only problem we have ever seen with this plant, as with any heuchera, is with weevils. Watch for notched foliage and treat accordingly. An established plant is strong enough to overcome them.